Knowledge Mobilization (KMb) is the act of translating formal research knowledge and outcomes into useful knowledge for the public sphere, ideally leading to social change. It does so by bridging the gap between subject experts and researchers with policy-makers and practitioners, creating a reciprocal flow in the uptake of information. KMb includes knowledge synthesis, dissemination, transfer, exchange, and co-creation or co-production by researchers and knowledge users (SSHRC, 2017). 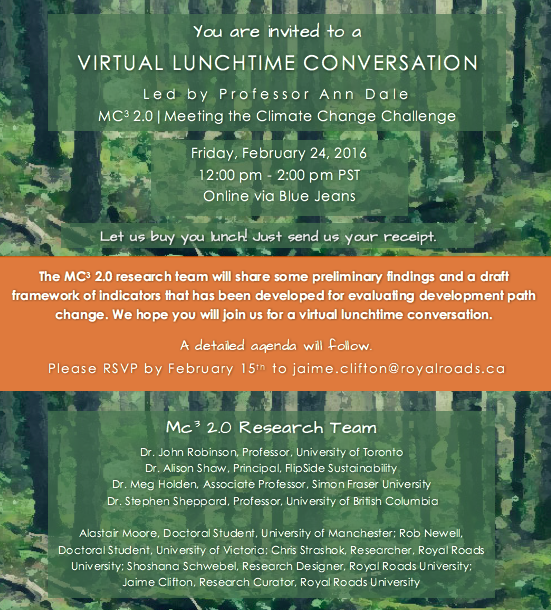 To mobilize our MC3 2.0 research, we hosted 2 virtual and place-based peer-to-peer learning exchanges over the last 3 years. 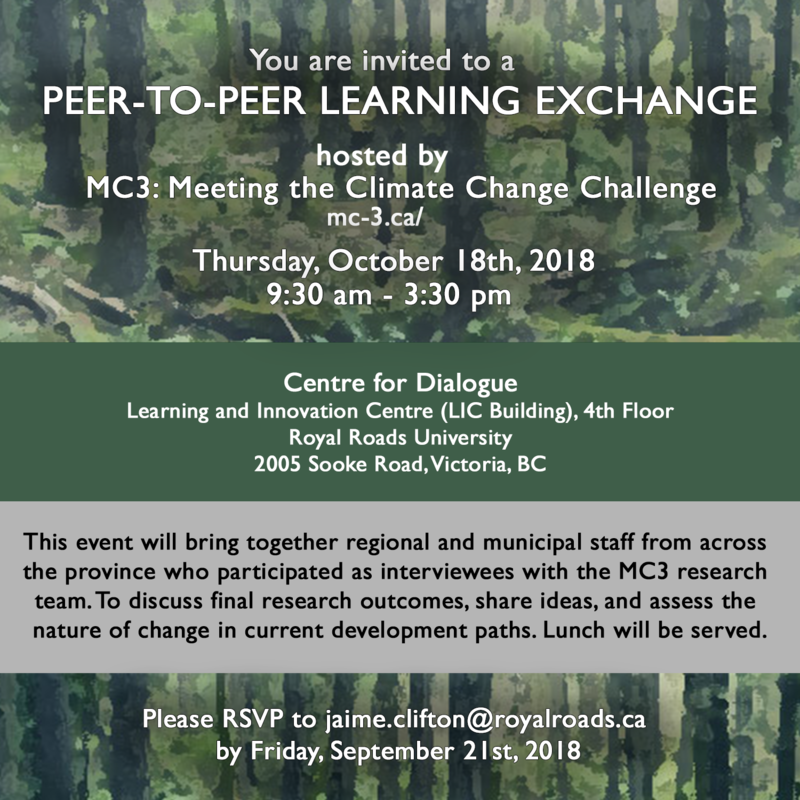 Together with our research team, we invited regional and municipal staff from across British Columbia to share ideas and reflect on next steps. 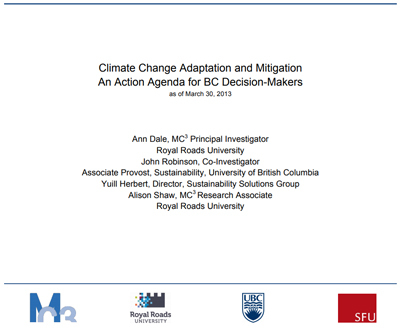 We presented our key research outcomes, highlighting new evidence about mitigation and adaption climate innovations occurring in 11 case study communities across British Columbia. Click the images below to learn more about each learning exchange.